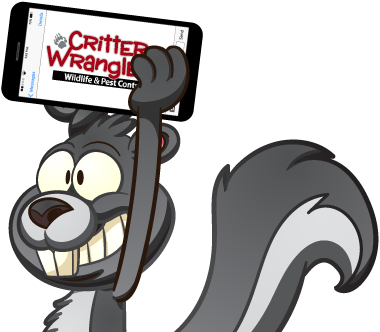 Critter Wranglers provides animal trapping services throughout the Powell and Knoxville areas. 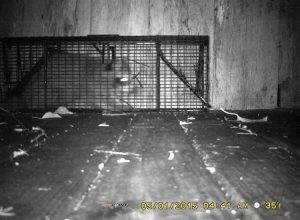 We also use live cage traps whenever possible to capture the targeted animals. We use several makes and models of traps to solve specific problems for our clients. Some of these traps may look a little strange and aren’t what you might find available at the local hardware store, but they are all considered to be humane — despite their looks. 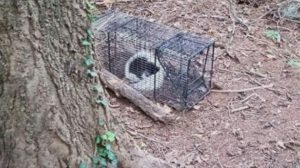 Cage traps are our “go–to,” in most cases, but some species are not able to be captured in this type of trap and we may use a variety of other animal control methods to solve your wildlife problem. The baits we use to trap animals may vary from junk food to species–specific pastes depending on location and what we are capturing. Safety is our number one concern when determining the location and style of the trap to use on an animal trapping job. We ask that you please be sure to let us know if you have any particular concerns about an area to be trapped. 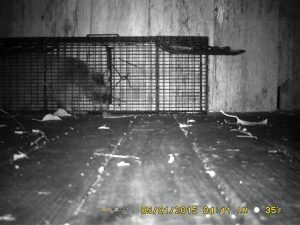 We do our best to ask the questions that guide the safe placement of traps, but care should still be taken to keep children and pets away from them. We realize that the opportunity to view a trapped raccoon or groundhog up close is very tempting (no one seems to want to check out the skunks! ), but even a caged animal can pose a threat. If the situation allows, we will give you the opportunity to take a few pictures and get a closer look when we pick the animal up. The one–way valves shown below are often used to remove bats from attic areas. These valves are placed as we seal up areas of the home that bats have invaded. They are normally left in place for a week or more depending on the severity of the problem. After that, all remaining entry points are sealed once we’re sure that the bats have safely made their way out. Bat work is regulated by the season. If you feel that you may be having an issue be sure to call us immediately! 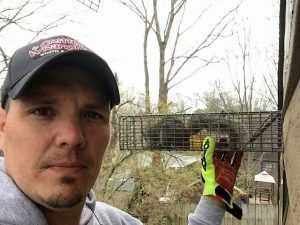 When you have nuisance animals that you want removed, Critter Wranglers provides safe, effective, and humane animal trapping services to remove the problem quickly. Give our Top Rated Local® pest removal and wildlife control team a call to request a free quote! Looking for other pest control services? As a full-service pest and wildlife control company, we offer services ranging from animal proofing, pest control, rodent control, and more!